Franck Hermanny is the bassist for metal band Adagio, a versatile freelancer and a virtuosic player known for his stunning sweeping technique. 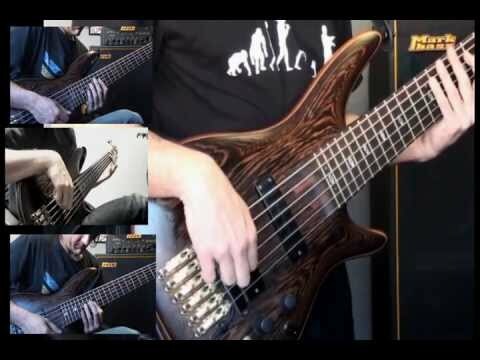 Frank Hermanny, bass player for metal band Adagio and various fusion bands, is a bass virtuoso from Nimes, France with a unique approach to the instrument. 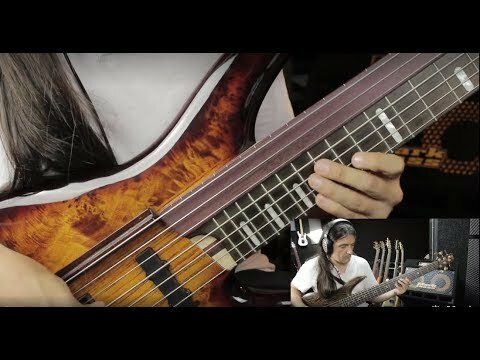 He developed the sweeping technique on bass, as well as the alternate thumb picking technique and "slap phrasing." 5 internationally distributed studio albums (Sony/BMG, Listenable records), 1 Live album (Avalon marquee - Japan), headlining shows and tours in more than 18 countries (Japan, USA, UK, Ireland, Netherlands, North Africa, Germany, Spain, Portugal, Sweden, France, Belgium, Italy, etc…), co-headline festivals and shows with Robert Plant (Led Zeppelin) ,Devin Townsend, Kamelot, Paradise Lost, Samael, Uli John Roth (Scorpions), Trust and many more. 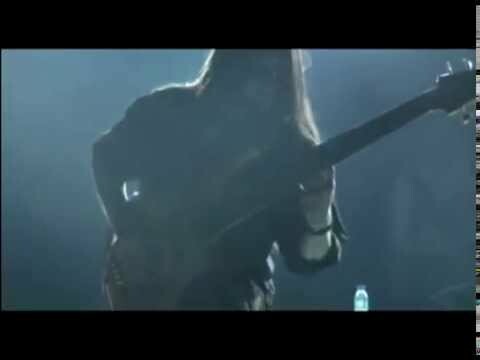 The band has been reviewed in several magazines, SITES AND COLUMNs as 'Rolling Stone', 'Guitarist', 'Hard-Rock Magazine', famous Japanese magazine "Kerrang"', Rock-Hard' magazine, TV broadcasts of Adagio's 'Fear Circus' video on Mtv , W9, Radio broadcast & diffusion in USA, Canada. Bass player of the year 2009 on 'Castle Of Pagan' website. Franck is also a versatile bass player who performed in different style of bandssuch as jazz/fusion big-band (The Maynard Project), latin jazz, soul and pop cover bands. 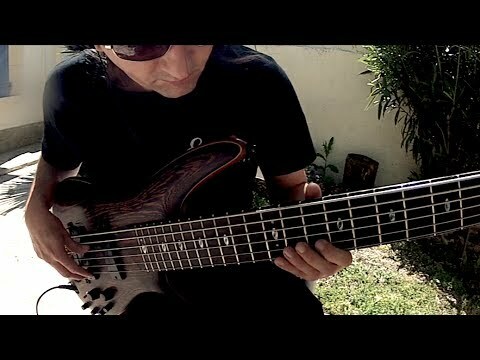 He endorses Yamaha basses from 2001 to 2009, playing clinics in several countries, but switches to Ibanez in 2009, being to this day, the only French musician inside the Ibanez family. Bass player with Stuart Hamm on the "Jason Becker not dead Yet" festival in Holland, November 2011 and on the "Guitar Universe European tour" w/ Marty Friedman, Yossi Sassi & Stéphan Forté. His first instructional DVD, a double set entitled "Bass Licks" includes Adagio's music and fusion material as well as special techniques like sweeping on bass and alternate thumb technique. About his favorite amp, Franck says, "It’s amazingly light and uses revolutionary microprocessor technology, but most important, the Classic 300 series delivers incredible power and clarity and really allows me to play my bass with MY sound! It lets my instrument sound the way it’s supposed to!"